I love apples, for the last 9 years, I have been very fortunate to walk into our garden and pick from our two apple trees. That is about to change as we move to new pastures although we will be adding an apple tree to our new garden as soon as we can. We’ve made my apple and cinnamon loaf so many times that as soon as I head out with the colander to pick the apples the kids know that by the end of the day there will be a couple of loaves in the freezer and one ready for tea time that day. 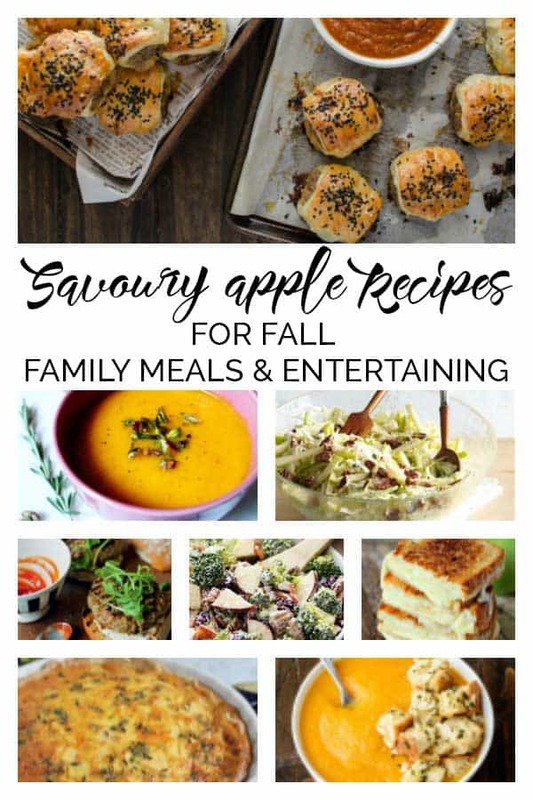 But, I also love using the apples in savoury dishes as they are the first of the Autumn family meals and also entertaining. 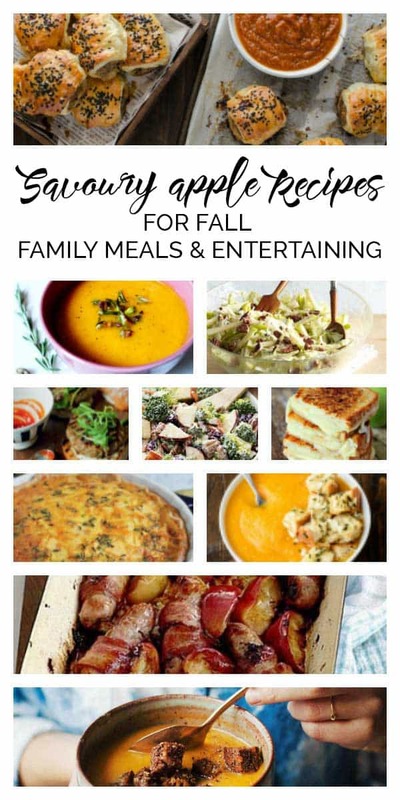 Now I promise you that not all of these recipes are healthy but there is a mix of comfort food, side dishes and main courses that will start the season of beautifully. 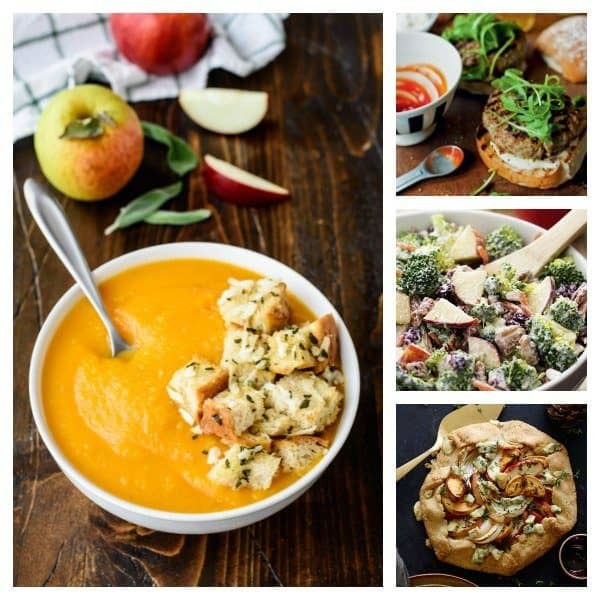 So here we go Savoury Apple Recipes for Fall. One of the best things about Autumn for me is spending the morning in the park or a walk in the countryside and then returning home or visiting a pub out and about to enjoy a large bowl of homemade soup with some fresh bread. 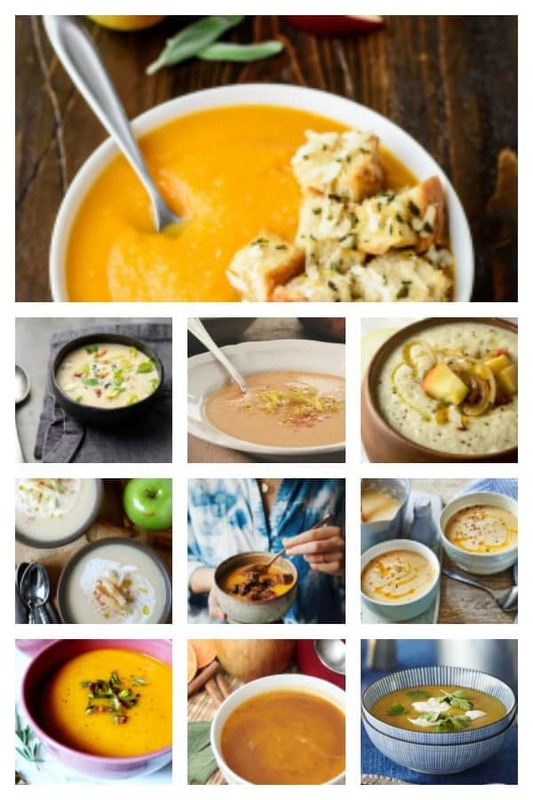 These 10 soup recipes include apples and are mouthwateringly delicious. The early part of Autumn can often be warm – in fact this week in the UK we are expected to hit September highs with the temperature reaching over 30C. 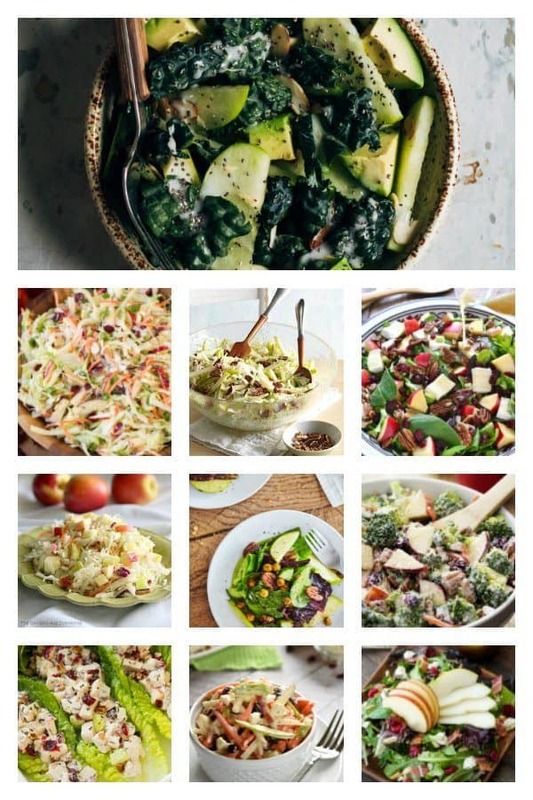 So it’s nice to have some lighter meals like salads that can double as side dishes for when you entertain as well as some dedicated side dishes that include seasonal ingredients to tempt you to enjoy. 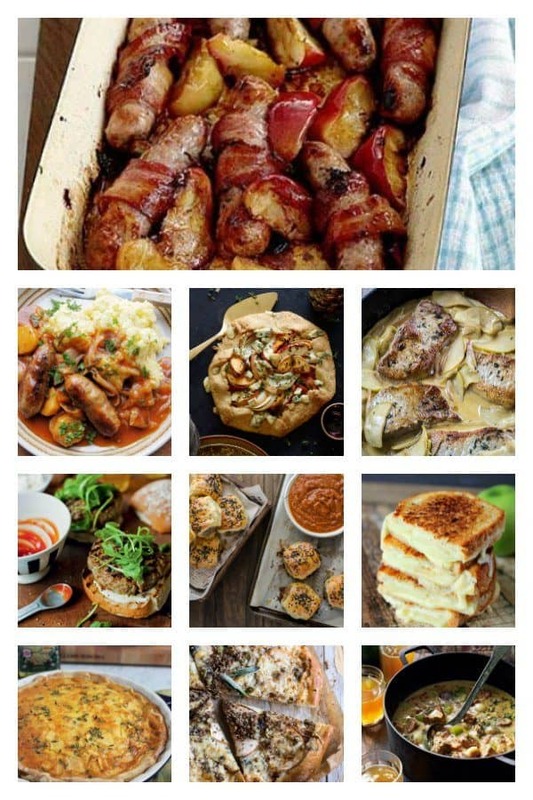 One of my favourite things about apples is that they store all winter when you store them well and that means as the days get shorter and the weather colder you can cosy up and enjoy some delicious comfort food made with apples.